Crowdfunding is a popular choice for entrepreneurs looking to raise capital for a new venture. Only 36% of campaigns on Kickstarter, a crowdfunding platform, hit their goal. Many crowdfunding campaigns fail because of mistakes made prior to and during their funding period—and even successful campaigns have flaws. For a crowdfunding campaign to raise almost 6.5 million in 30 days, you might think it went off without a hitch. That wasn’t the case for Fidget Cube, a small toy created as a stress outlet for fidgeters. The project targeted a goal of $15,000 to fund the production and distribution of their product, but by the end of their 30-day campaign, 154,926 backers had pledged a total of $6,465,690-43,000% more than they expected, making it the 11th most-funded Kickstarter campaign. While this is a success by every sense of the word, that kind of growth in that short of time would stress-test any company, let alone a startup that had yet to produce or distribute the product they were selling. Indeed, the company started facing quality control issues during production, pushing the delivery date well beyond the initial timeline. Backers became restless, and competitors began making their own fidget-toys. One opportunistic entrepreneur earned $340,000 in two months by beating Fidget Cube to market with essentially the same product. The production and communication mistakes Fidget Cube made during and after their campaign caused a strain on customer relations and left room for competitors to eat into their once-dominant market share. While Fidget Cube is still viewed as a success, it’s also a cautionary tale for future entrepreneurs considering crowdfunding. Crowdfunding is the culmination of small investments by several different supporters. In other words, successful campaigns have convinced a community to back their project. 3DSimo was a Kickstarter campaign that aimed to put 3D printing in the palms of your hand with their innovative 3D-printing pen. They launched their campaign in 2015 targeting $70,000, only to raise $41,000. 3DSimo wasn’t defeated. They decided to relaunch another campaign for their 3D pen, after making a few adjustments to their strategy—starting with an emphasis on building a community. Their changes led to almost $230,000 for their second crowdfunding campaign. Before they relaunched, 3DSimo took time to define and segment their target audience. To craft an effective marketing message to any group, you must first identify who you are targeting and why they should care about your campaign. In many cases, this leads to multiple audiences and different selling propositions. 3DSimo then designed landing pages with an email capture form on their website to build a list of leads that they could target pre-launch and during the campaign. To increase the conversion rate of your crowdfunding lead form, make sure to build separate landing pages with unique messages for your different segments. Consider A/B testing landing pages for the same segment to see if one message performs better than the next. To further grow their community, 3DSimo utilized social ads on Facebook and Twitter to drive more targeted traffic to their email form. By utilizing the target audience filter on Facebook’s Ads Manager, you can easily segment the users that see your advertisement. When you are more strategic and targeted with social ads, you’ll see a higher ROI and better conversion rates on your forms from paid media. Fonde, a ravioli roller, set out to raise $1,000 for their Kickstarter campaign. It ultimately brought in almost $65,000. 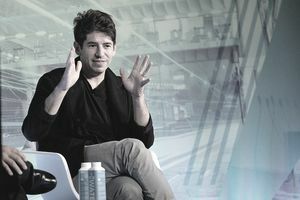 Michael Finizio, the creator of Fonde, set his goal based on the minimum amount needed to successfully launch his venture. He could have set a higher goal like $10,000 or even $50,000, and it’s reasonable that he would have still succeeded. Fonde succeeded, in part, because it had realistic expectations and communicated that effectively to its backers. Most crowdfunding platforms are all-or-nothing, meaning you must hit 100 percent of your goal for money to change hands, setting your goal at the minimal amount needed is a great way to build a successful crowdfunding campaign. Many crowdfunding campaigns fail because entrepreneurs set goals above what is necessary. Setting an achievable goal doesn’t just lead to a higher rate of success, it also has psychological advantages. Backers are more likely to support campaigns with a higher percentage of their goal reached, especially if the goal is exceeded. The goal isn’t the only expectation that needs to be set for your crowdfunding project. You need to set a clear and achievable delivery date for your product. A simple Google search will reveal hundreds of crowdfunding campaigns that have lost the support of their backers and ruined their brand image by failing to deliver on the delivery date expectations. If you’ve never produced or distributed your product before, clearly communicate that to your backers and set a date that mitigates the effects of potential delays. Your backers will not complain if you deliver early, but they may have issues if you’re late—especially if you are not transparent about the delays. Most crowdfunding campaigns fail. Even the projects that end up getting funded might fail on their ability to deliver the product, meet backer expectation, or create a sustainable brand. If you want to see the best crowdfunding results during and after your campaign, learn from these examples: be prepared for success, build and use an engaged community, communicate effectively, and set achievable expectations.